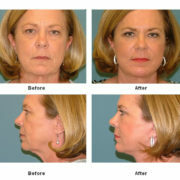 Cosmetic face surgery is surgery performed to enhance visual appearance of the facial structures and features. 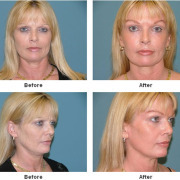 Our faces undergo many undesirable changes as we age, but Estetica Institute offer numerous non-invasive procedures and surgical procedures to counter these changes and improve patients’ self-esteem and confidence. 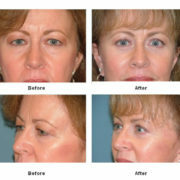 Changes like wrinkles, tired-looking eyes, fine lines and “turkey necks” can make patients appear older than their ages. 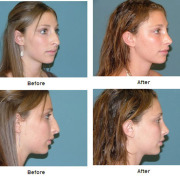 Fortunately, many of these conditions can be corrected through procedures performed at Estetica Institute. 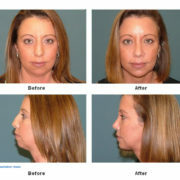 Common procedures include facelifts, eye lifts, rhinoplasty, chin and cheek implants, liposuction, eyelid (blepharoplasty) surgery, ear surgery, lip augmentation, brow lifts, fat transfer, and a full array of procedures designed to correct facial wrinkles. Dr. Greg DeLange provides state-of-the-art techniques and optimal care for all patients. 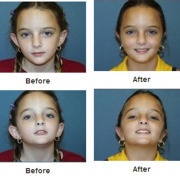 As a result, they frequently have a speedy recovery and get back to their routine with minimal downtime, and achieve excellent and satisfactory results.